Great football, cool air and cold beers. 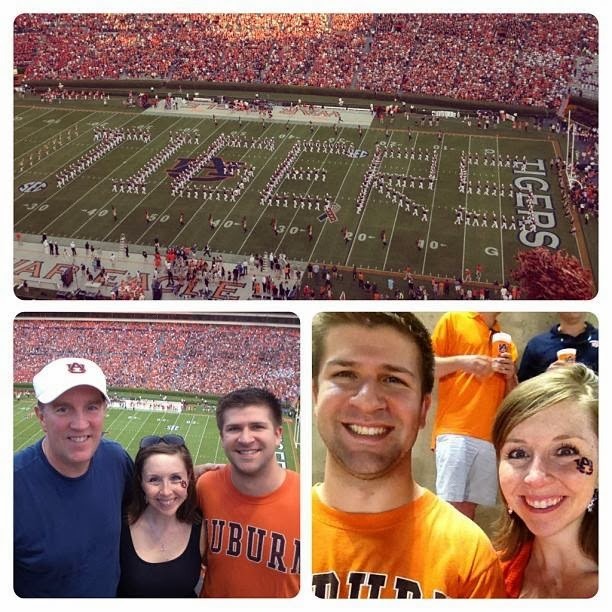 Yesterday, we had two of the three, at least, down on the Plains for the Auburn - Ole Miss game. The air might have been a bit warmer than expected for early October, but we made the most of the day with our family trip to cheer on the Tigers as they faced the Rebels! 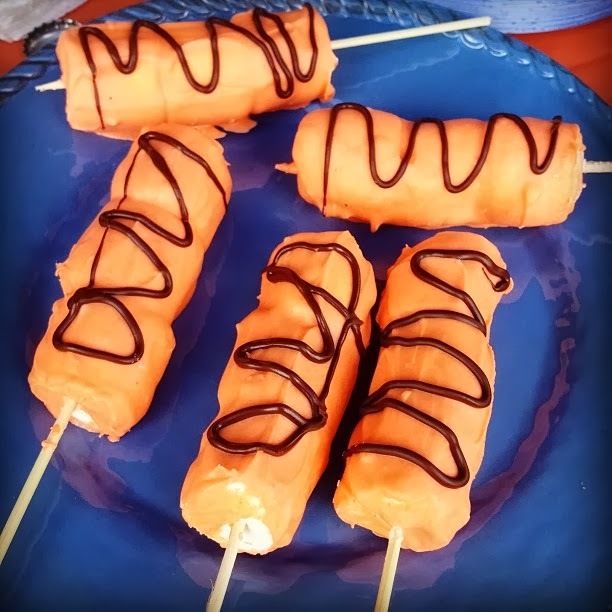 Then I also made Tiger Tails -- white chocolate-covered marshmallow sticks, with a chocolate drizzle on top. Hello, sugar rush! These were fun to look at AND eat! We saw an exciting, big win before a late night caravan home to Atlanta, and so today, we are all a bit slow moving. The cloudy sky-outskirts of Tropical Storm Karen are setting the perfect weather mood for a snuggly afternoon on the couch. I made a pot of Bacon Cheeseburger Soup to top off the weekend as we settle in for some pro football hangout time tonight. This one of my own recipes that is just too good not to share. Enjoy, friends, and have a great week ahead! War Eagle! Cook ground beef and bacon over high heat in a Dutch oven until cooked through, about 5-10 minutes. Add jalapenos halfway through cooking time, stirring with meat to soften the pepper. Add remaining ingredients, bringing to a boil before reducing heat. Cook over low heat for 30-45 minutes, stirring occasionally to prevent the cheese from sticking on the bottom. Serve with corn chips on top. Note: can also be made in the slow cooker. Prepare beef and bacon on stovetop first. Add all ingredients other than corn chips to a greased slow cooker. Cook on High for 3 hours, or on Low 5-6 hours. Top with chips.